While we booked the Coyote Valley RV Resort until 8 April, work was done early on the 7th and we decided to get an early start on the great Eastward march. Leaving Morgan Hill, CA we took about 4 hours to reach the Visalia/Sequoia National Park KOA in Visalia, CA. From Visalia, CA we continued South East to Seligman, AZ (Route 66 KOA). Most of the day we spent parallel Route 66 and watching the ruins of the small towns once dotting the famous road pass us by on Interstate 40. The panoramic vistas including multi-colored sandstone and gigantic rock monoliths were amazing, especially in the setting sun. We got a small taste of the old Route 66 at our destination in Seligman, CA. The town still had several motels, curiosities, restaurants, and shops which made Route 66 famous. Seligman is also the supposed model for the Radiator Springs of Cars with real cars from the 30s, 40s, and 50s dotting the roadside and parking lots. 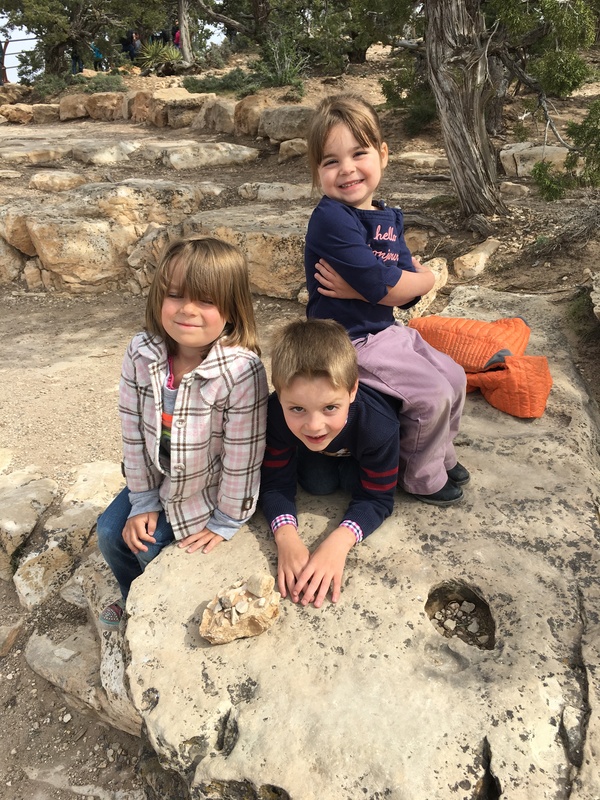 The reason we chose Seligman, CA was the proximity to the Grand Canyon – only 90 minutes to the South Rim. 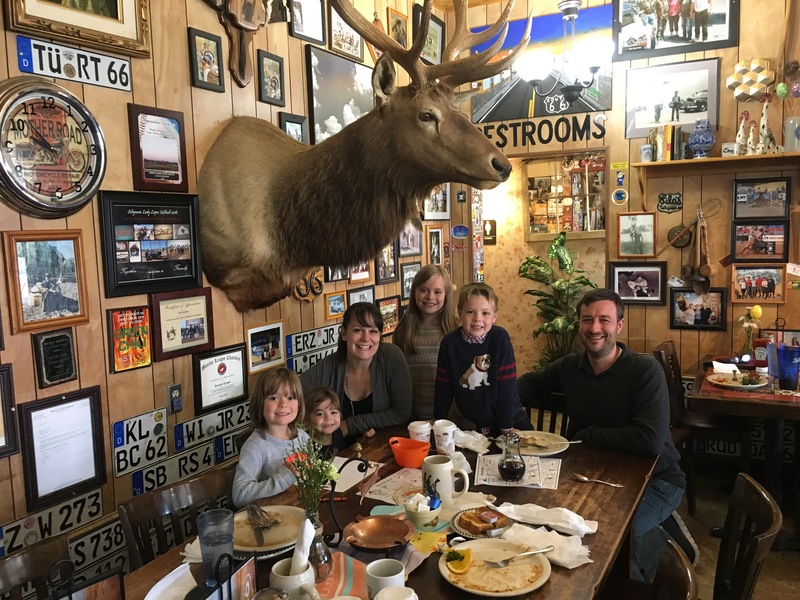 On 9 April we woke up and had a classic American breakfast at Lilo’s Westside Cafe on Route 66 before heading to the Grand Canyon – an American adventure experienced for 80 years. 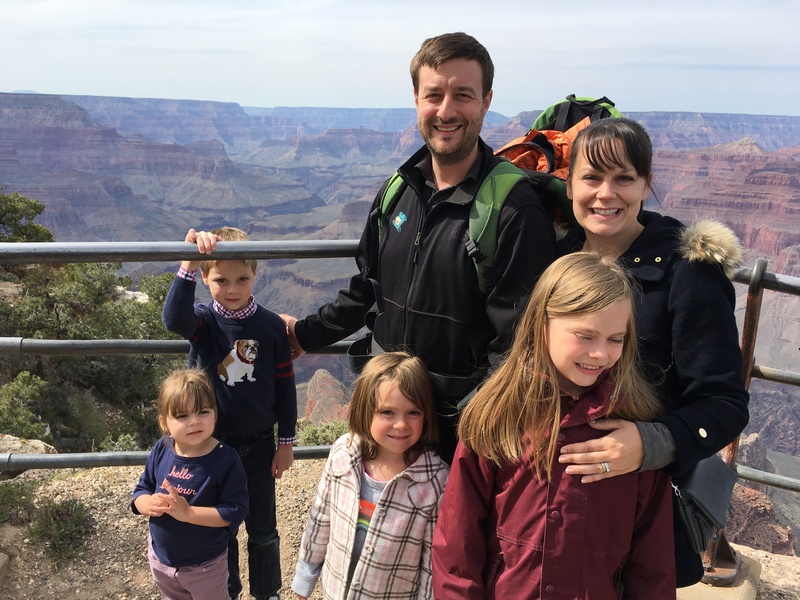 Read more about our Grand Canyon visit. 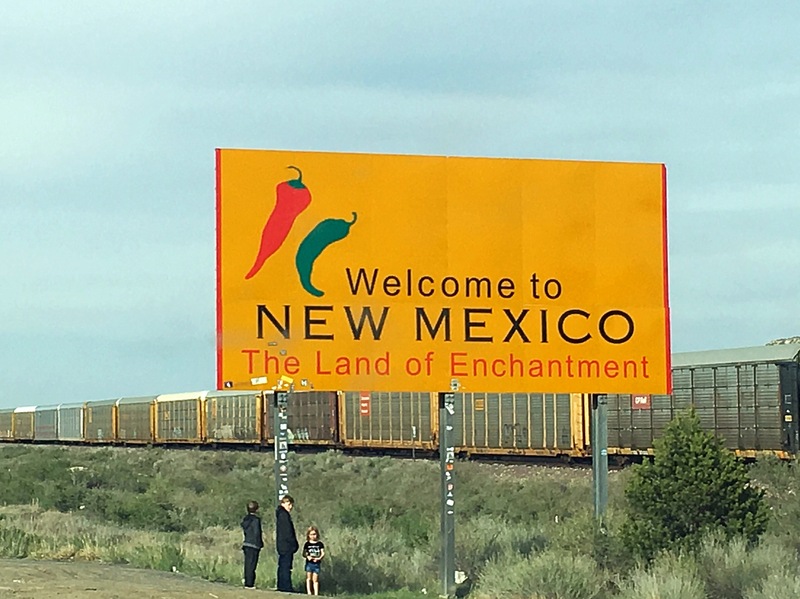 On 10 April we left Seligman, AZ and traveled to Albuquerque, NM. We stopped for lunch and sightseeing at Meteor Crater, the largest confirmed and best-preserved meteor strike in the world. On the way we passed through Roswell, NM – the infamous site of a 1947 military weather balloon crash which led to stories of an alien craft crash landing and many conspiracy theories. It’s fun to drive through the two and see the green aliens everywhere. The town really owns and plays up the story and the kids had a great time spotting all of the aliens around town. 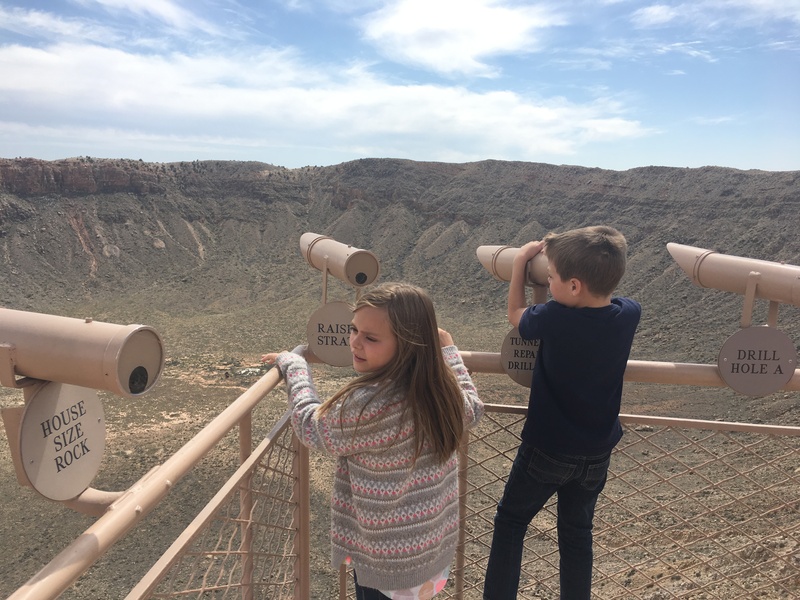 Read more about our Meteor Crater visit. 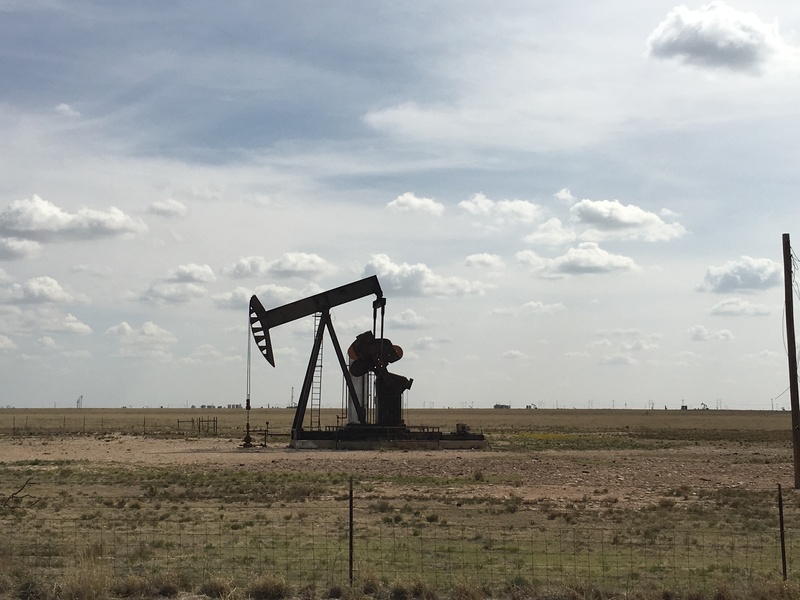 On 11 April we left Albuquerque, NM and drove into central Texas destined for San Angelo, TX. Leaving Albuquerque we left behind amazing sandstone rock formations and hills and was quickly greeted by flat plains, amazingly red dirt, and countless oil and natural gas derricks constantly siphoning out that “black gold”/”Texas tea.” The drive was the longest of the journey so far with over 450 miles and 12 hours. 12 April saw a short 4-hour drive from San Angelo in central Texas into San Antonio and Texas hill country. 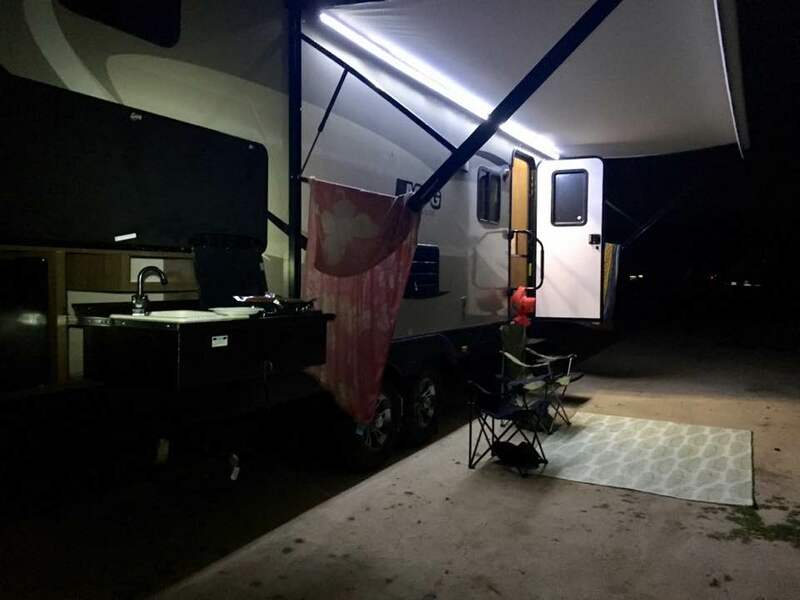 We parked at San Antonio KOA, unhitched, and relaxed in the warmth of central Texas. The kids immediately hit the pool and playground for some long-deserved play time. 13 April we spent the morning working and then went to San Antonio to visit the Alamo and the Riverwalk. Read more about our visit to San Antonio. After two nights in San Antonio – a brief but welcome respite from the road – we were off to Louisiana. We stopped over in Breaux Bridge, LA on the Teche Bayou in Pioneer Acadian Village. We woke up and took a short walk to the Bayou which was at the end of the RV park. There was a small pier into the river and gave us our first close-up view of the Bayou. 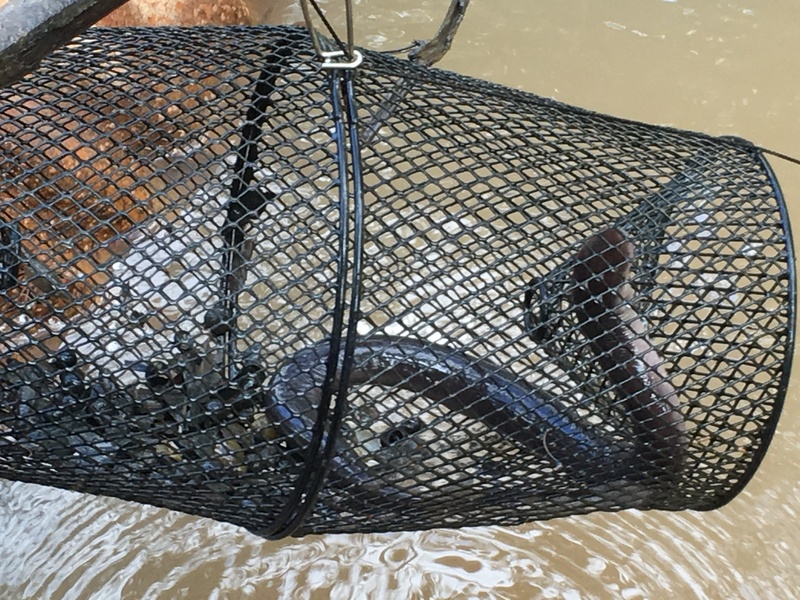 Sherrie spotted a crawfish trap and lifted it up with a stick only to find two crawfish, a frog, and a congo eel in the trap. She freaked out and thought it was a cottonmouth snake – but the small feet on the side of the animal identified it as not a snake. From Breaux Bridge, LA on 15 April we traveled the final 2 hours into New Orleans giving us our first glimpse of the Mississippi River and several riverboats along the Baton Rouge port. We headed into San Antonio in the afternoon after some morning work. We went straight to the Alamo. Although there are better missions around San Antonio to visit – there is none as iconic and made it on our must-see list for its historical significance. The Alamo is situated in downtown San Antonio amidst large buildings and busy streets – not exactly picturesque. We parked across the street (for $22/8 hours!) and went to visit this iconic site. 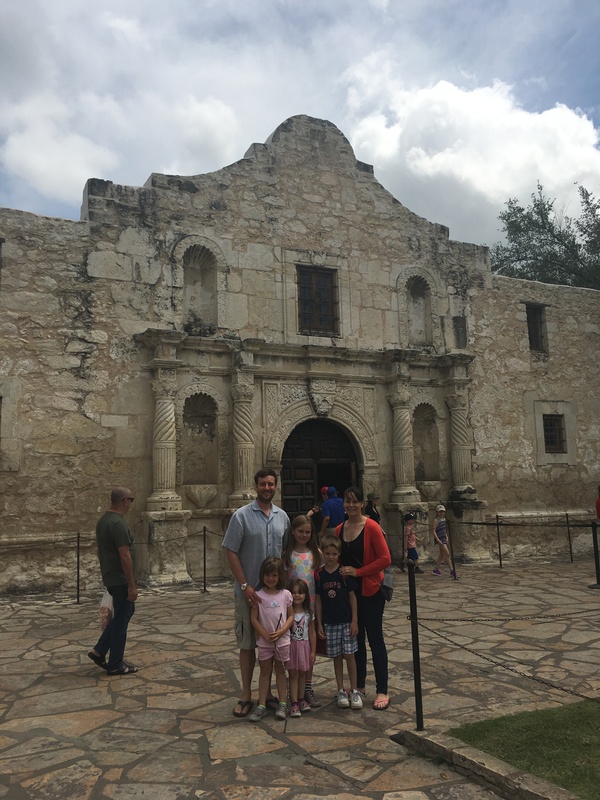 The kids enjoyed the Alamo and had a good time visiting the grounds, the barracks, and the church. However, while a historic site, there is not much of the historic Alamo left as it has been rebuilt over the last 200 years. We all enjoyed the living history section where docents in period costume explained weapons, warfare, and medicine in the early 1800s. After the Alamo, we headed across the street and down the stairs to the Riverwalk – another iconic San Antonio item. 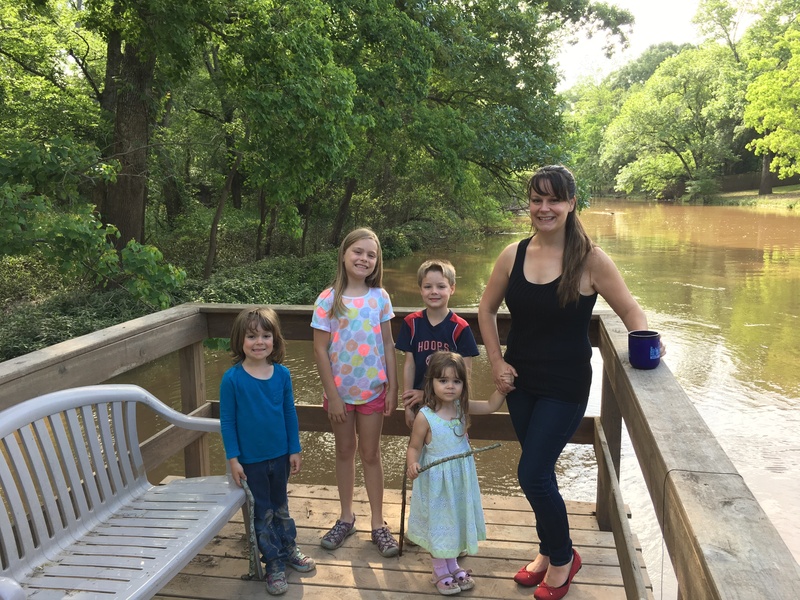 The kids were hungry, tired, and hot – not exactly conducive to a leisurely visit 🙂 However, they did enjoy sitting and watching the baby ducks play in the San Antonio River – and even an attempt hawk trying to pick one of them off but fought off by the momma duck. We ate along the river at Casa Rio – a mediocre Mexican restaurant. Afterwards, we walked along the various sideshow places such as Ripley’s and a knock-off wax museum before heading back for the evening where the kids played into the night on the playground. On our way, East across Arizona and only 6 miles from the Interstate lies the best-preserved confirmed meteorite strikes in the world. A 4000-foot wide crater all that is left of the meteor which struck the earth 50,000 years ago. It’s not an inexpensive stop costing us over $50 for the family but the site is unique and a landmark. The visitor’s center is well done with lots of interactive exhibits and a good description and recreations of the event plus some details of the geology. There is a large section on the process proving it was a meteor strike as for a long time it was not confirmed and many thought it was a large steam eruption. We walked the short route up to the top of the rim and looked down and across this massive scar on the earth. It’s amazing to see it up close and then look at the photos of Venus and other planets on which their entire surface is marred by these events. It really does make you appreciate how hospitable this planet is to our form of life. Also interesting is that the actual strike is a further 700M below the surface – as the crater floor has been slowly filling over the last 50,000 years. We woke up on Route 66 in Seligman and went to breakfast at Lilo’s Westside Cafe. The kids shared two stacks of enormous pancakes, Sherrie enjoyed Texas-sized french toast, and I had a chili omelet filled with jalapenos. From breakfast, we drove 1.5 hours into Grand Canyon National Park and the South Rim. We parked outside the Market and after a quick restroom break walked the short distance to the canyon rim trail which is an easy paved walk with great views. All along the route, there were samples of rock and descriptions of the geology. The canyon allows one to see 4.5M years into the history of the Earth. The uplifted strata, limestone, sandstone, and granite were visible and the kids enjoyed being able to touch and see the rock up-close. We walked the 1.5 miles to Bright Angel Lodge. The views were spectacular but still, we couldn’t see to the bottom of the canyon and decided to hop on the bus taking us further into the canyon with better views of the Colorado river. A short wait for the bus and a 20-minute bus ride to Mojave point was worth it. Based on the suggestion of a park employee you can see the Colorado river snaking it way through the canyon (and apparently on quiet days hear the rapids below). We took the bus back to Bright Angel Lodge but instead of waiting for the shuttle to the Market we decided to walk back from there. The kids were not doing well – hungry and tired of walking. They obviously need to get their hiking endurance back! We got back to the car and enjoyed peanut butter and jelly sandwiches. However, after sandwiches, they were still hungry. So, we stopped at Williams, AZ and Station 66 Italian Bistro. Interestingly, the kids didn’t seem that hungry…. Heading from Anaheim into the Sequoia National Forest and southern Sierra Nevada mountains outside Bakersfield, CA was a change of scenery. We gained about 4,000ft of elevation – most of which Sherrie did without tow/haul mode engaged all the while wondering why it was struggling to stay above 45MPH. Lake Isabella is fairly remote and boasts mostly white water rafting and mountain biking trails nearby. The remoteness focuses your attention instead on the beautiful high desert mountainous scenery and enormous sky vistas. At night, there is no nearby light pollution and wide open spaces which provided an unparalleled view of the stars. Of course, that wouldn’t be complete without a campfire and s’mores. 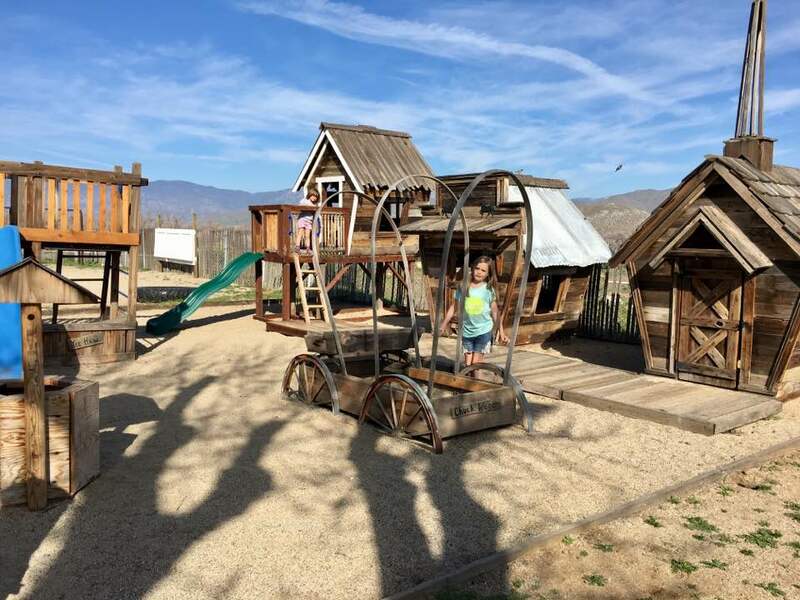 The Lake Isabella/Kern Valley KOA is small and family friendly. They have a great playground for the kids. Our kids gave it all thumbs up and spent many hours playing in the folly western town, wagon, slide, and swings. As with most of our stops, the kids make instant friends with other campers. Here, they met Casey with whom you could always find Lucas racing their bikes around the campground. 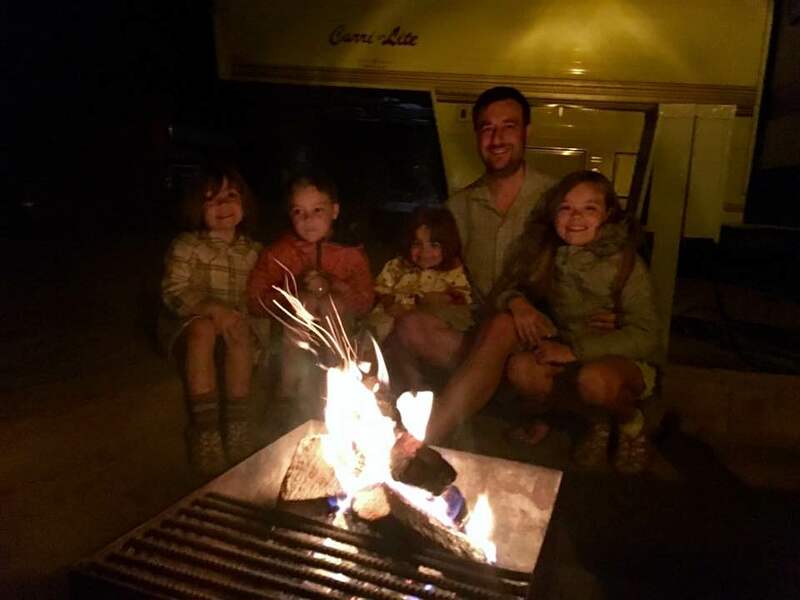 Luckily, Casey also joined us for s’mores on our last evening – his first time making s’mores! 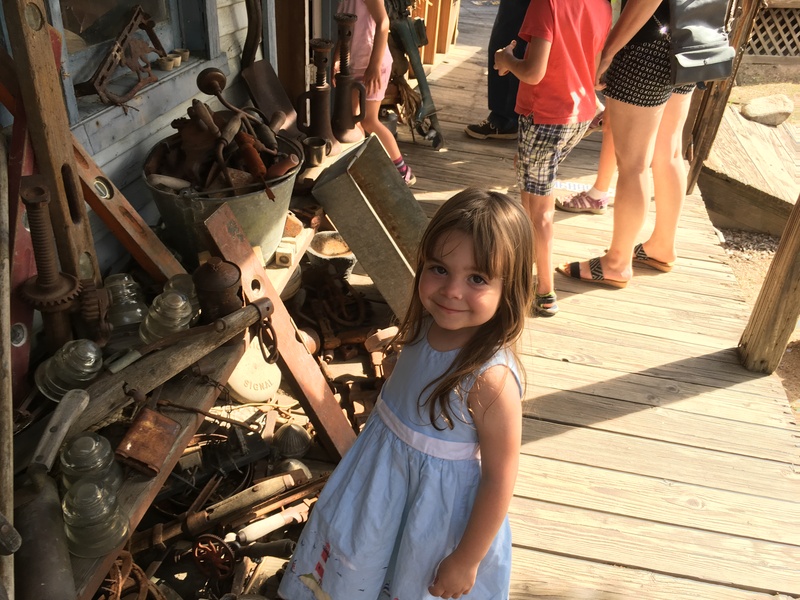 We spent half-a-day visiting the Silver City Ghost Town, which may be the only thing to really do for a young family nearby. Overall, it was a very relaxing site and a nice change of pace from Disneyland. Real camping in the mountains under the stars. From Lake Isabella, we headed back to Anaheim for work meetings. After a long morning of work and home school, we headed south for Monterey. Ever since I read John Steinbeck many years ago, this area has always held a special place in my imagination. Driving by Gilroy and smelling the garlic, through Salinas thinking of Mice and Men, walking down Cannery Row past Doc Rickett’s laboratory, and the lasting impact the Dust Bowl and Steinbeck’s description in the Grapes of Wrath left on the area. 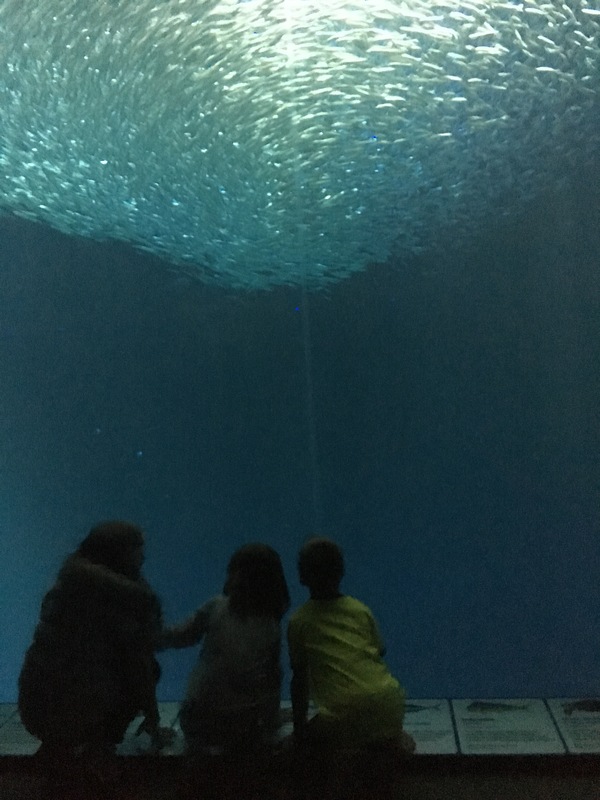 In our visit last year we didn’t make time for the aquarium and this time we went specifically to visit the aquarium. While expensive, the aquarium is amazing and deserves its title as the best in the world. The aquarium itself is situated in an old cannery and is a unique juxtaposition between the over-fishing which doomed the canneries and a world-class ocean conservation organization. 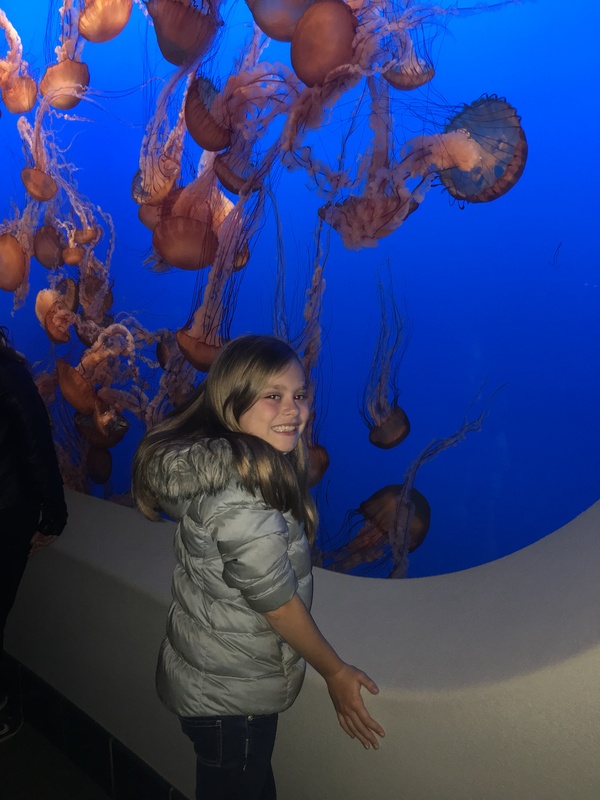 Not only is the aquarium itself spectacular, but enjoying the bevy of balconies perched off the pier on which the aquarium sits offers views into the bay itself, and it’s effortless to watch otters play in the water and the surf buffeting anemone-covered rocks. During our two and a half hours we spent most of our time at the touch pools and enjoying the colossal and breathtaking open ocean and kelp forest tanks. The jellyfish were also a big hit – especially the moon jelly which were displaying krill in various degrees of digestion, the evidence of a recent meal. 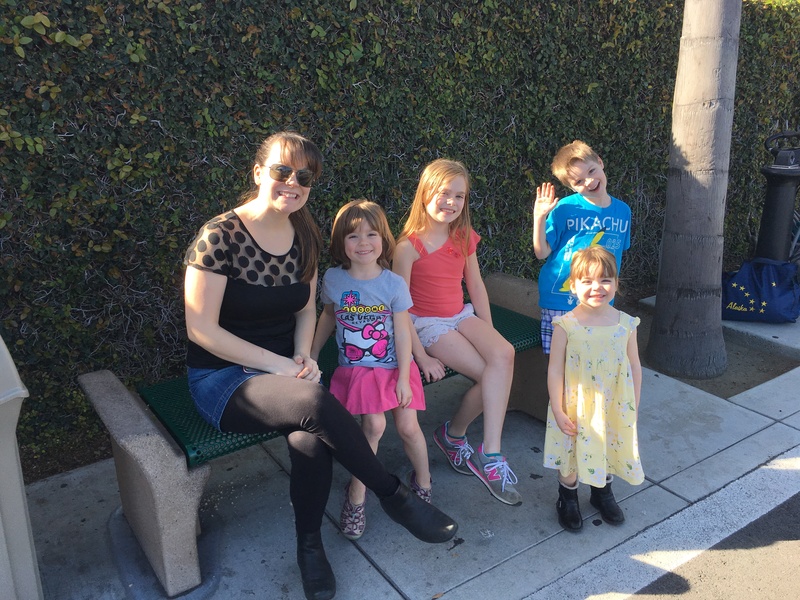 After the aquarium, we headed to dinner at the Hula’s Island Grill – a great place with good drinks and happy hour all day Tuesdays! Sherrie enjoyed her Blue Hawaii and I had a Mai Tai while we all enjoyed coconut shrimp rolls, jalapeño bacon mac & cheese, and house-made french fries (with 5 cups of ketchup for the kids). 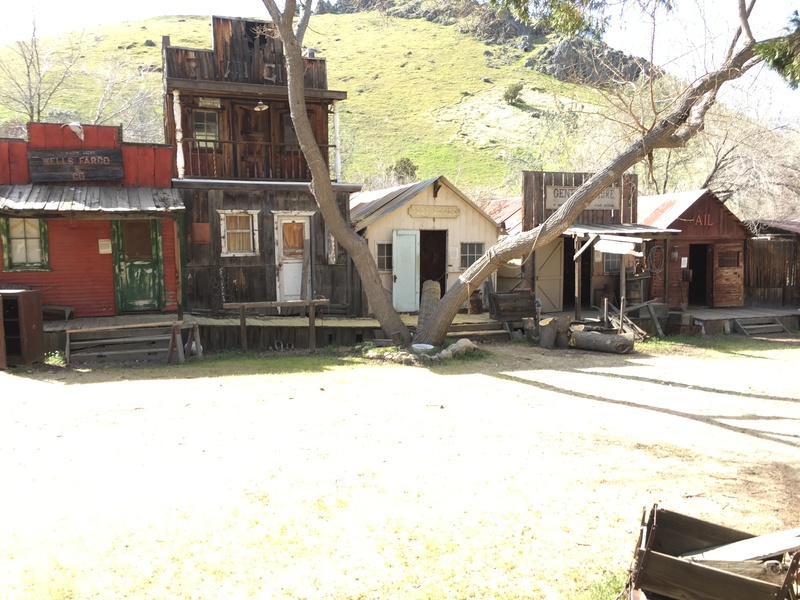 The #1 attraction in the Lake Isabella area is the Silver City Ghost Town located in Bodfish, CA. Aside from that most come to the region for the natural beauty and white water rafting. The ghost town isn’t the traditionally abandoned townsite and scattered dilapidated buildings associated with so many others. 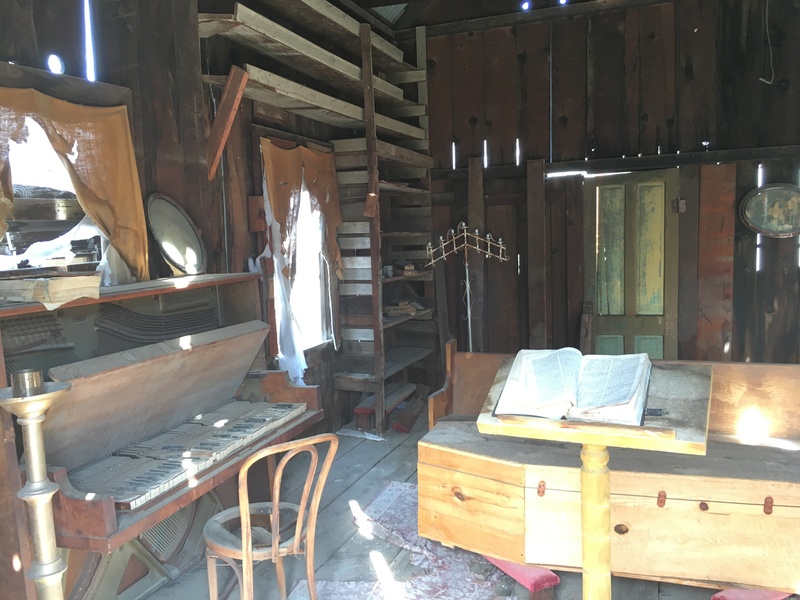 Instead, it is a collection of mid-to-late 19th-century buildings collected and moved from other towns (some abandoned) in the area to this site. Together they represent primary functions in any town in that period, but individually they each have a unique story. There are about 20 buildings in different stages of decay or repair. Some have drywall inside, and others have bare planks. Some have been painted, some stained, some left dry. You can examine about half the buildings by standing outside the door or a window and looking in. The only buildings you can enter are the jail and the entryway to the church. Inside are arranged items from various periods all the way up to the 1950s and odd-looking mannequins. There are about 20 buildings in different stages of decay or repair. Some have drywall inside, and others have bare planks. Some have been painted, some stained, some left dry. You can examine about half the buildings by standing outside the door or a window and looking in. The only buildings you can enter are the jail and the entryway to the church. Inside are arranged items from various periods all the way up to the 1950s and odd-looking mannequins. All-in-all a unique place and a concept I’ve never seen before. 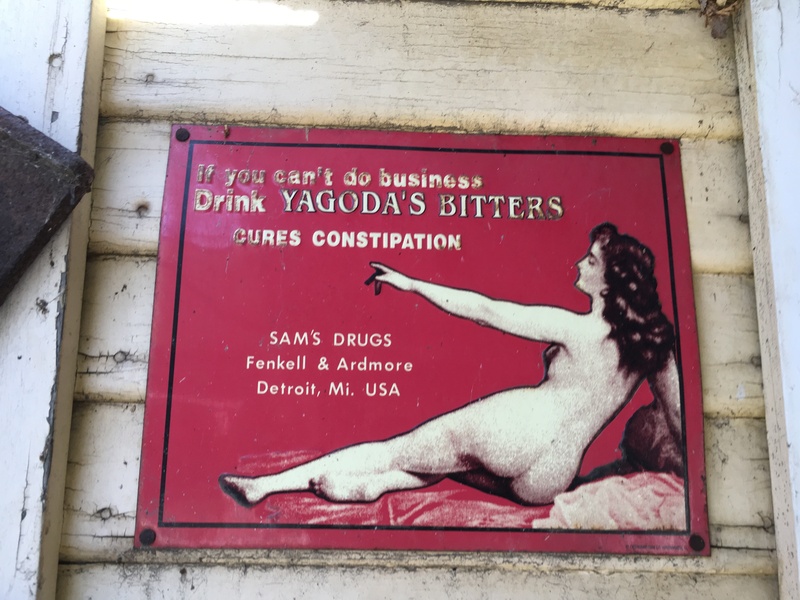 Sherrie and I first thought about turning away because it seemed like a tourist trap but the site has some notoriety, and the kids would love it regardless – so we endeavored to explore. The cost was $20 for our family, and we took about 90 minutes to explore the town and attached antique shops. The gentleman running the place was knowledgeable and helpful. The town cat mostly aloof and sleepy on a warm afternoon. The kids took off exploring the town and scared of any potential apparitions which may materialize at any moment. Aurelia and Guiliana still think you call it a ghost town because it’s haunted. The site has many associated ghost stories, but we didn’t encounter any on the visit. If you’re in the area and looking for something to do, I’d recommend it. It’s inexpensive, and young kids love it. Sherrie was itching to go see something of San Diego while we were in the area staying at Santee Lakes. So, looking on Trip Advisor revealed the #1 thing to do is the USS Midway. A US steam-powered aircraft carrier now parked in San Diego harbor. 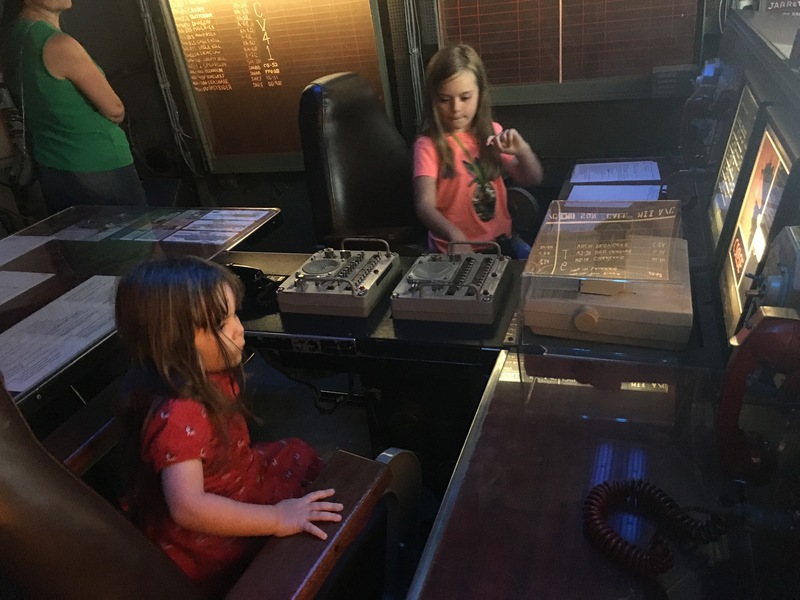 We had a great time visiting the flight deck, sitting in some of the planes and visiting below decks. Especially awesome was the admiral’s quarters with the war room. We spent 3 hours on the ship exploring – which is the best adventure for the kids. It was a great memory and dove tails very well with the USS Missouri visit a couple of years ago. Isabella and Lucas still had memories of that previous visit. Packing up the RV in Anaheim to pull away was less than smooth. We lounged around longer than we should have and then while breaking down, we had a lovely older couple sharing their full-time RVer stories and telling us of the gentleman’s miraculous health recovery. We loved chatting but realized the time, and we needed to get going! We made quite a mess while dumping (gray, not black, thank GOD)! The hose kept detaching, and there was wet sand all over the ground and thus our hands and then just all over us. Good times! Remind me to shower tonight. Yikes! We pulled away from Anaheim RV Park at 11:45 AM and hit the road! We spent a wonderful week at Santee Lakes. We pulled into spot #232 at 2:30 pm. Check-in was a breeze. The recreation area is run by the water bureau and is a set of 7 lakes used to manage and reclaim storm and runoff water. It’s a fantastic place, and we regretted not spending more time there. It was our first real experience spent around full-timers who live there or spend most of their time, at the park. 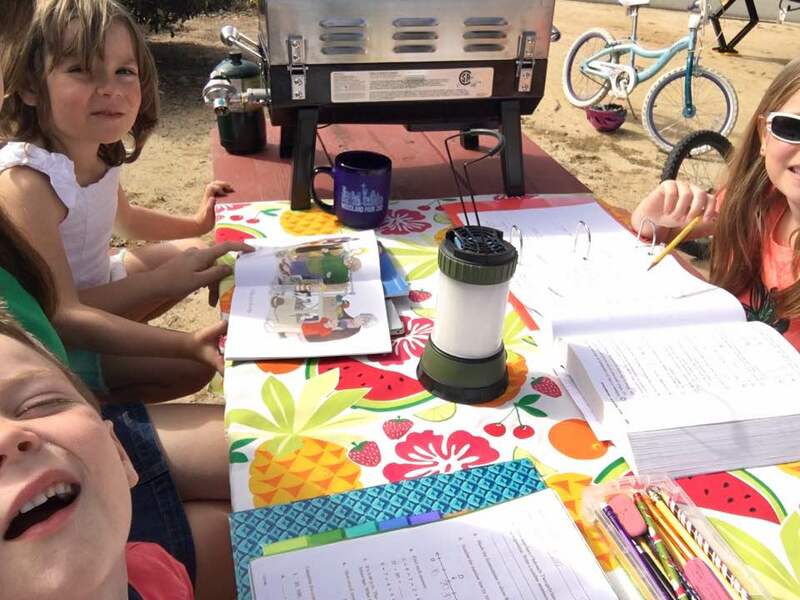 We learned we’re called “transients” (those who move between parks regularly). Interestingly, you can tell full-timers based on how much stuff they have on their porch (like potted plants, etc.) and bling (such as LED lights) around their RV. We met some wonderful people like Clive (originally from West Lynn, OR) and Teresa, his mother-in-law (from Ontario, Canada). Our children made fast friends with Megan and Ryan, their children and spent most of the day digging and chasing the plentiful lizards. Our neighbor, Steve, also a full-timer was super helpful troubleshooting our leaking black tank flush. 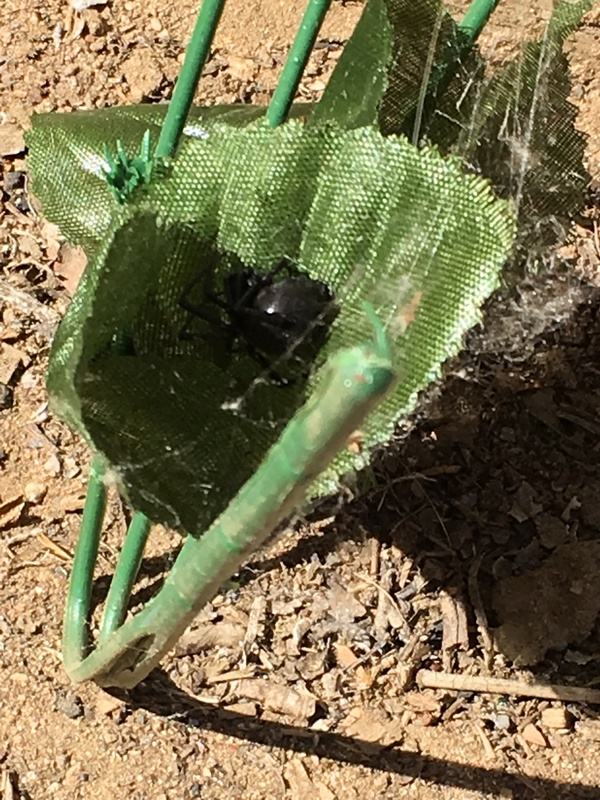 He gave us two washers and hose quick-connect. People have been so kind and helpful to us newbies as we learn the way. They had a great pool. The first day we went to the pool too late after the sun went below the hills, and even a pool heated to 76 degrees is cold when the temperature drops. However, we found the best time at the pool was after 2 pm when it was hottest. We also met a couple who lives in Denmark half the year but spends the winters at Santee Lakes. At night and even early morning, you can hear the coyotes – an active bunch at the lakes not only howling at night but roaming around your campsite in the morning. The sounds of their padded feet on the sandy soil easily distinguishable in the quite calm. On Tuesday the 14th we went on the paddle boats and while it was at 10:30 am it was quite warm. While in San Diego I’ve heard you have to try the Mexican food – so we went out to discover something awesome, and we found it at El Rancho in Santee. HIGHLY RECOMMENDED! The tacos and enchiladas are great. We ate there for lunch both Tuesday and Wednesday. 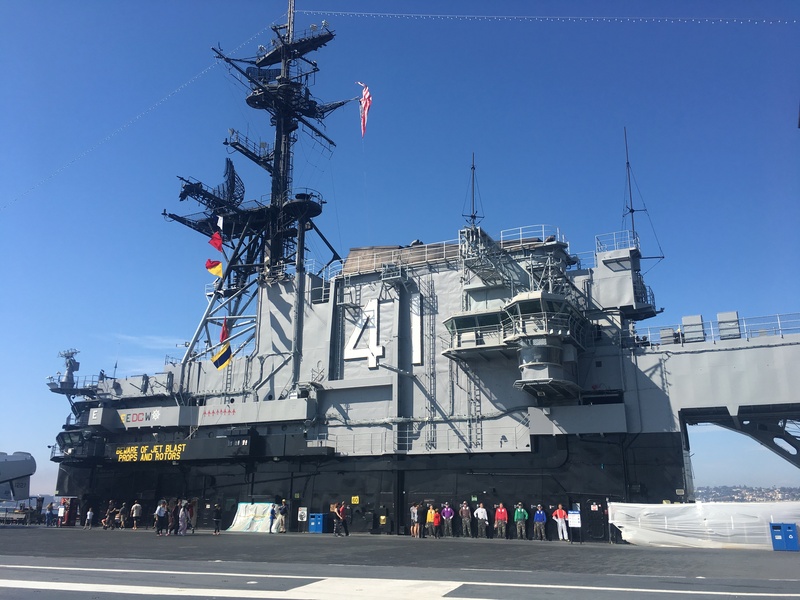 While we spent most of our time at Santee Lakes and around the Van de Camp, we did get out to see the USS Midway on Wednesday. We pulled up stakes at 11:30 am and headed to Lake Isabella, CA! 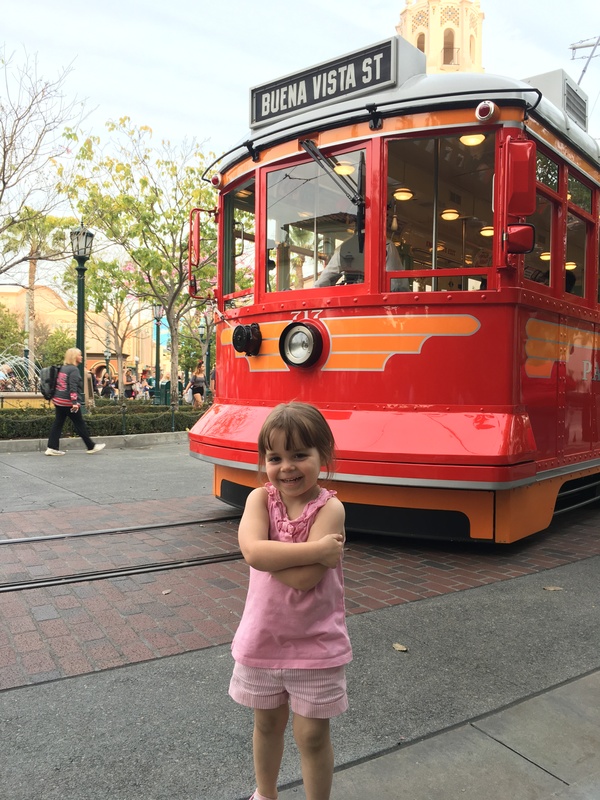 We went to Disneyland Paris for Isabella’s fifth birthday back in 2013 during their school’s half-term holiday. We had a very lovely time and stayed at a vacation resort Marriott for part of the time and spent the other half in a Disney property hotel. But . . . it snowed. Like the whole time. 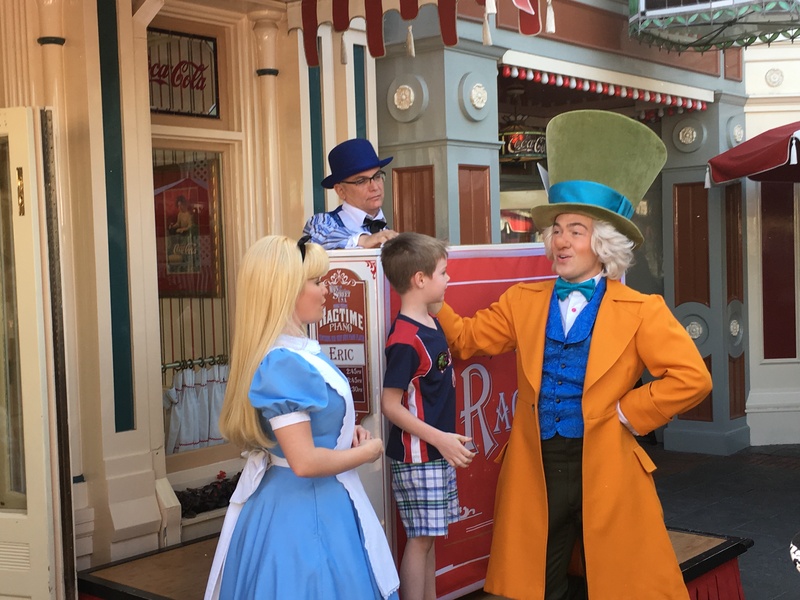 The kids were freezing and they had to go to the bathroom every 5.27 minutes and Lucas was terrified of all the characters and anything that resembled a living thing, which of course included nearly every ride with a diorama sort of arrangement. So I would say it was a mixed success! The temperature here in Disneyland CA was supposed to be in the upper 70s to low 80s the entire time so I already knew half the problem was going to be solved. Giuliana sported a pull-up just in case, Sergio bought us bus tickets that shuttle us back and forth from the RV park to Disneyland, and we slathered ourselves in sunscreen and took off! When we arrived in the park, we had to have our annual passport cards printed which took quite awhile (cuz, well, six of them!) and then we were off! The kids chose as their first rides Indiana Jones, Splash Mountain, Teacups, and Alice in Wonderland. We took full advantage of the rider switch tickets for any ride for which Aurelia and/or Giuliana were too small. 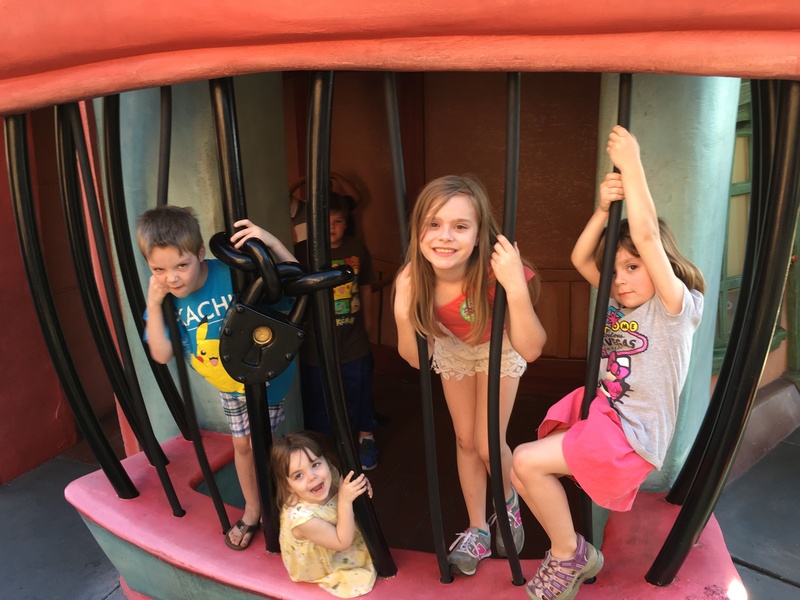 We made sure to keep the smaller kids occupied with things like Tarzan’s Treehouse or the Winnie the Pooh ride. Everyone was full of smiles! We had lunch at a New Orleans themed café and then later had dinner at Goofy’s Kitchen in the Disneyland Hotel. The kids had a great time there which is excellent because it was a $200 buffet. Excuse me, that was vomit in my mouth. At least it was pretty good overpriced food instead of terrible overpriced food? The second day we chose to go back to Disneyland and spent time in Tomorrowland and Toon Town. 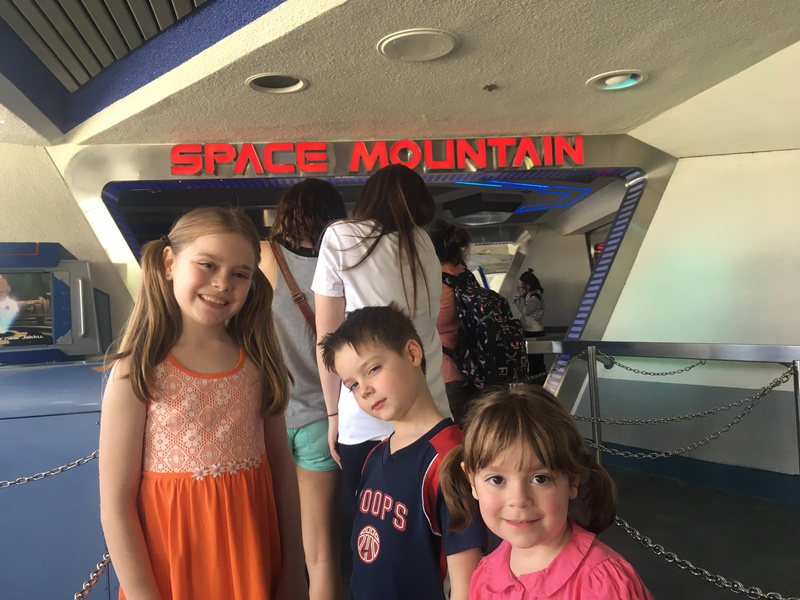 The kids loved Hyperspace Mountain, the Buzz Light Year Blasters, the Cars ride, rockets, Star Tours, and more. They also adored exploring the cartoon land of funny houses, jokes, and tactile delight at every turn. 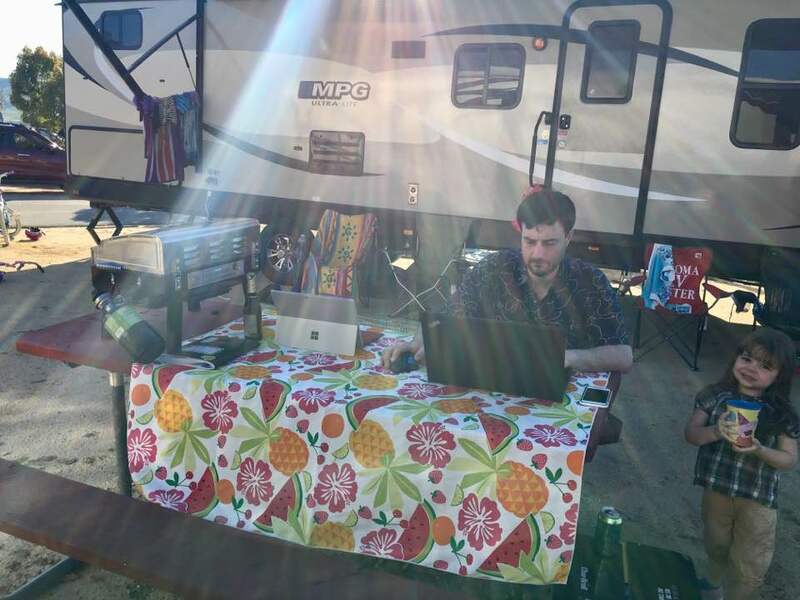 We decided to head back to the RV for a late dinner around 8 pm which was actually far more exhausting and time consuming than it was worth. Lesson learned. The third day, we all voted to go to California Adventure where we learned the California Screamin ride is awesome, the ferris wheel with the swinging gondolas is terrifying (at least to some), and Bella could ride on California Screamin after all because it’s not as bad as the ferris wheel. J We had lunch at Ariel’s Grotto where the kids had mac and cheese or angel hair pasta, Sergio had tri-tip, and I had grilled lobster salad. Yummmmmmmmy (but another $200)! We rode more rides including the Ariel attraction, Cars racers, Mater’s tow trucks, Luigi’s tires, and lots of Bugs land attractions and saw the show in the Bug Theater which was really awesome and surprised at every turn. For dinner, we headed over to Storyteller Café where the kids made pizzas, ate salmon, and had mac and cheese, Sergio had roast chicken, and I had a flatbread. We headed back to our trailer late again and collapsed into bed, glad we only had one more day of Disneyland ahead of us! 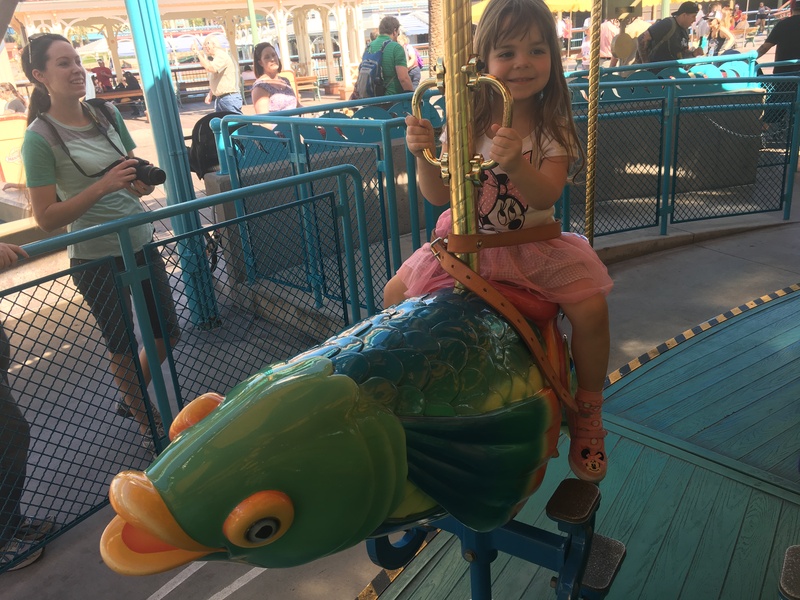 The kids voted for one more day in California Adventure where it was a little busier than the day before but still really quiet and easy to get on rides. They did a soft launch of the Food and Wine festival so we decided to go meal reservation-less and get the Annual Passport Food and Wine Festival pass for $40 which gave us eight small plates at the festival. Win! We ate at the outdoor food court for lunch (vegetable bowl, clam chowder, burrito, tamales, and quesadillas), devoured two large sundaes from Ghiradelli for a midday snack, and then used the pass for dinner. There were some delicious meals to be had there including bacon mac and cheese, white cheddar lager soup, chilled cioppino, bay shrimp louie salad, fried artichoke carbonara, and a raspberry chocolate tarte. Then we went on the Midway Mania Toy Story ride, rode the carousel once more, and headed back to the RV. We survived!! !